Outta Sight's latest monthly rare soul missive contains hard-to-find and overlooked classics from "hard-hitting" New Jersey vocal group Soul Brothers Six and New Orleans Rhythm and Blues man Willie Tee. 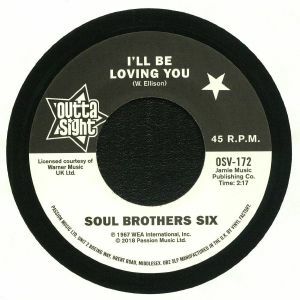 It's the former's wonderfully sweet and loose "I'll Be Loving You" (first released in 1966, fact fans) that takes pride of place on the A-side, serving up a lightly sauteed soul take on the rhythm and blues template. 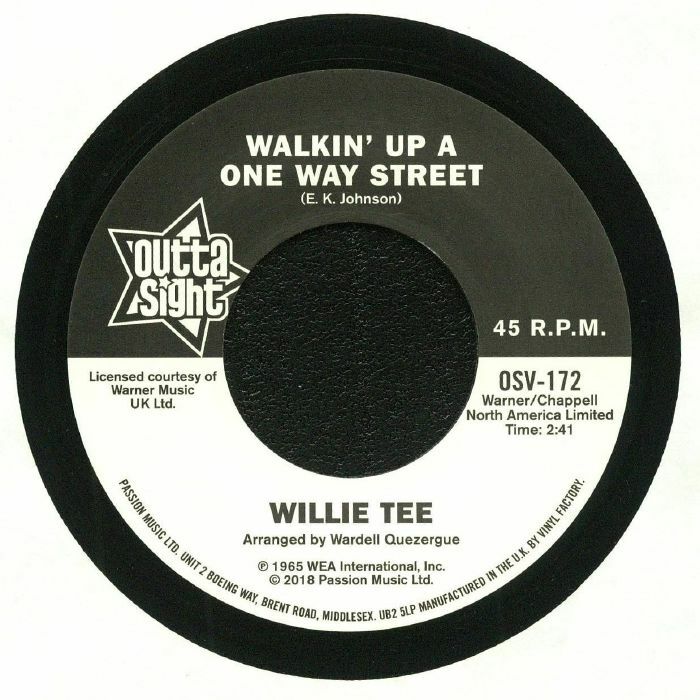 Willie Tee's 1967 jam "Walking Up A One Way Street", a summery affair blessed with a superb horn section, leisurely groove and brilliant lead vocal from the man himself, can be found on the B-side.